Anyone paying attention knows that our nation has lost its way, but that’s where clarity ends. How and when did we go wrong? Sometimes I wish I could read the histories that will be written a hundred years from now, after time has lent perspective to the chaos of current events. Thanks to Andrew Bacevich, we don’t have to wait for at least one piercing analysis. Bacevich, a Viet Nam veteran, retired as a colonel after 23 years in the army. 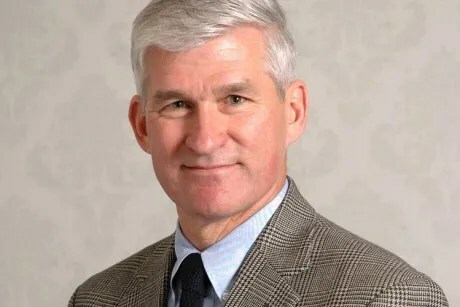 He holds a PhD in American Diplomatic History from Princeton and taught at West Point and Johns Hopkins before joining the faculty at Boston University in 1998. In March, 2007, he described the US doctrine of “preventative warfare” as “immoral, illicit, and imprudent.” Two months later, his son died in Iraq. Bacevich says the critical, though seldom acknowledged, turning point was bookmarked by two presidential speeches. The first was President Jimmy Carter’s so-called “malaise” speech, though he never used the word. The seventies was a decade of severe economic shocks that saw the first oil crisis, a stock market meltdown, and our transition from a producer to a consumer economy. On July 15, 1979, Carter said the real crisis was not what OPEC was doing to oil prices, but our way of life, which makes us depend on foreign oil. To continue down that road, Carter said, was “a certain route to failure.” He urged a renewal of national purpose, characterized by national restraint and an effort to find and develop alternative energy sources. The main effect of his speech was to provide ammunition to his political opponents. Republican presidential candidate, Ronald Reagan, in his “morning in America” speech told us there were no restraints. The energy crisis was the government’s fault. The solution was to reduce federal spending and cut taxes. In an effort to salvage his re-election prospects, Carter adopted a pugnacious tone, articulating the “Carter Doctrine” in January, 1980. He said the nation would “use any means necessary, including military force,” to prevent any other power from dominating the Persian Gulf.” Sadly, this endorsement of American imperialism rather than his earlier call to fiscal and moral balance is what guides our politicians to this day. It isn’t hard to see why. In the 1980 presidential election, Carter won just four states, while Reagan carried 48. No one in Washinton missed the message: the way to get elected is to pander to our illusions, to suggest that our credit is infinite and the bills will never come due. Technical innovation has been an American strongpoint, from the Mahattan Project to the space race, to the digital revolution. In contrast, our efforts to reshape other cultures has been rather dismal. As they say in 12 step programs, admitting there is a problem is the first step toward a solution. This entry was posted in Authors, Book Reviews, Books, Culture, Economics, History, News, Politics and tagged 2012, Andrew Bacevich, authors, book reviews, books, Culture, economics, history, News, politics. Bookmark the permalink. I first came upon Bacevich in an interview pubished in Bill Moyer’s Journal, 2008. That, plus the interview earlier this year I linked in the post, are good introductions to his thought. Something prompted me to dig into his book, and I’m glad I did. Every idea from Bacevich’s book that you bring up is absolutely on point, and I find that really upsetting. The worst part about this is that I don’t see this changing anytime soon. It will take something unimaginably huge for the US as a whole to change. I don’t know what that event would be, and I’m not sure if I want to see it when – not if – it comes to pass. Well even baring disaster, most scientists agree that Peak Oil for the world happened in the 2008-2012 time frame. It happened for the US in 1973. Defined as the point where 1/2 of the available oil has been extracted – the easy half, leaving us now with options like Deepwater Horizon. So if we’ve burned through half the available oil in 110 years and are using more than ever – before the end of the century, there will not be any more petroleum available. Luckily I think private enterprise is more on top of this than government. Non-petroleum plastics have been developed, tho they dont yet have a very high melting point. Also, I heard some time ago, Exxon experimenting with ways to distribute hydrogen safely at filling stations, for hydrogen fuel cell vehicles. At a certain point though – as oil becomes more and more scarce – it’s going to be very hard to adjust, and I would think the danger of warfare becomes really high. Much food for thought here, Morgan. This looks like an exceptional read by a man with extraordinary credentials. Thanks for posting this. I read the book because of earlier exposure to Bacevich’s thinking which I blogged about twice. One was an interview with Moyers, published in Bill Moyers Journal, 2008, which I blogged about this January http://wp.me/pYql4-1AT. The other was from a more recent interview with Moyers broadcast this spring http://wp.me/pYql4-1RL, with relevance to more recent events. What a shame it takes someone outside our institutions to speak these kind of truths!